Agent Trust is here to help you with all of your Short Sale needs. We have developed a revolutionary system to help you get started with Short Selling your Property in Hernando County. If you find your self struggling to keep your head above water like millions of other Americans, you need to know that you have options. Do Not stick your head in the sand and hope it goes away, the Team of Professionals at Agent Trust Realty in Spring Hill FL can help you determine all of your options and figure out if a Short Sale is right for you. We are available for you any time, just give us a call and we will get started ASAP. Are you ready to short sell your home in Spring Hill? 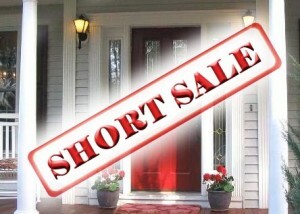 Don’t know what a short sale is? 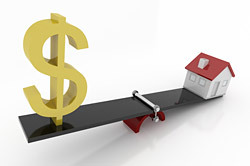 A short sale occurs when you owe more than what the house will possibly sell for. This can be caused by many reasons, but often is a result of a rapidly declining housing market. For many homeowners, a short sale is preferential to foreclosure or bankruptcy when they can get the lender to write off the difference and waive any deficiencies. Our Team of Expert Short Sale Negotiators in Spring Hill are trained to acomplish this result and have over a 90% success rate at completing short sale transaction where the seller is released completely from their mortgage debt and obligations. A Short Sale may not be right for everyone, and every individual situation is unique. Our Team Of Real Estate professionals right here in Spring Hill Fl will help determine all of your options with you. If we determine that a short sale is not right for you, we will expertly guide you with your next best options to make sure your best interest is always protected. We will NEVER do anything that may not be in your best interest! How do I proceed with a short sale in Spring Hill FL? First, get an idea of the true market value of your property. Since paying for a licensed appraiser may not work with your already tight budget, an experienced local real estate agent that knows the current conditions of the Spring Hill real estate market is a sound way to get a reliable idea of your home’s value. Next, calculate your closing costs. The knowledgeable agents at Agent Trust Realty will take into account fees like title report, appraisal, escrow, property taxes, and agent commissions to tally your final costs upon closing. This is an crucial step to begin negotiations with your bank. The experts at Agent Trust Realty are highly trained to negotiate your your lender for the best possible reslut for you, our client. Finally, call your lender and make them aware of the situation. They may even have a special department that handles short sales. Ask about their particular steps. Some lenders will be more willing to work with you than others. They may be able to lessen the amount owed or make other arrangements. Your lender will have to give consent for the final sale.